You know we love a good challenge at Ohno Design. We feel inspired when helping businesses to showcase high-quality products, whether it’s online or in print. 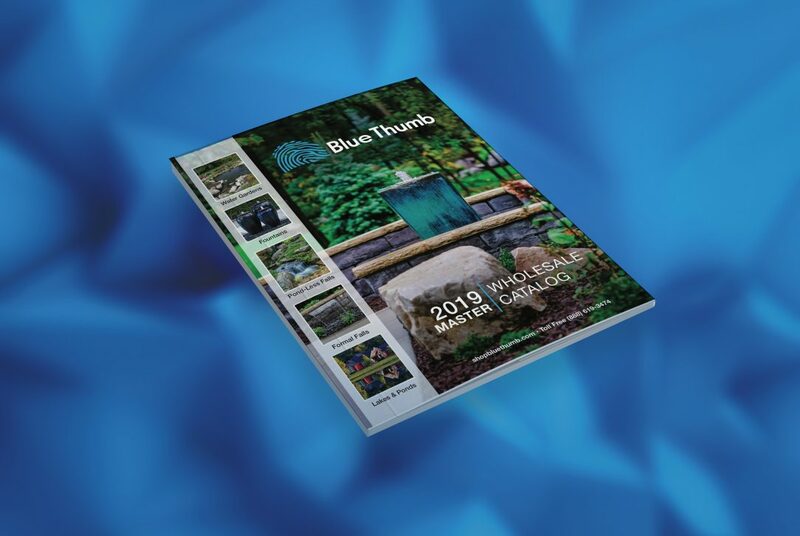 For years, Blue Thumb has been producing an extensive catalog of ponds, waterfalls, and fountains as well as parts and accessories for contractors. Blue Thumb and its products have always been top-notch and a first choice for contractors. The catalog, though, was a bit difficult to navigate. Everything a professional needed to add a beautiful water feature to a landscape was inside its pages. It wasn’t always easy to find a specific item, though. This fall, the Ohno team set out to correct that. We met with the company’s owners and our designers to brainstorm how to re-organize the information to make the catalog more user-friendly. We’re pretty excited about the results. Better yet, though, we’re already talking to Blue Thumb and our designers about ways to create an even better catalog in 2019.